Manu Tuilagi has been cited for an alleged dangerous tackle on Munster flanker Chris Cloete during his first game back from injury last weekend, but he is now facing a possible ban. The 27-year-old England international made just his second appearance of the season in Sunday’s 25-16 defeat by Munster at Welford Road, having suffered a knee meniscus injury on the opening weekend of the 2017/18 campaign. EPCR confirmed they have received a citing complaint against the Leicester Tigers centre following his club’s Champions Cup, Round 4 match against Munster Rugby at Welford Road on Sunday, 17 December 2017. 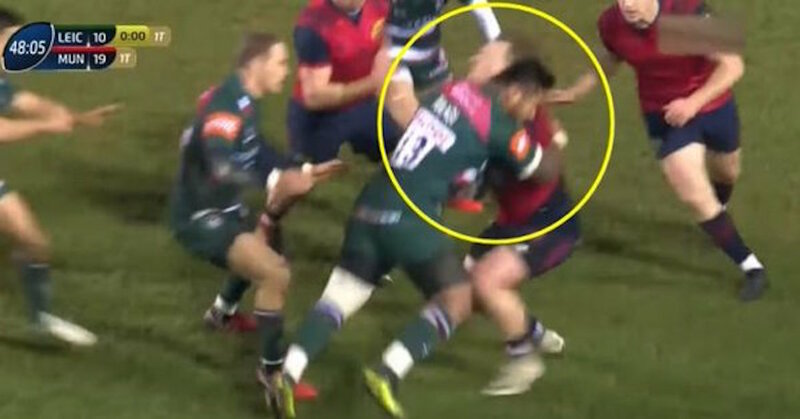 Tuilagi is alleged to have tackled the Munster Rugby flanker, Chris Cloete (No 7), dangerously in the 49th minute of the match in contravention of Law 10.4 (e). The complaint was made by the match Citing Commissioner, Jeff Mark (Wales). Pamela Woodman (Scotland), Chair, Roger Morris (Wales) and Nigel Williams (Wales) have been appointed as the independent Disciplinary Committee for the hearing which will take place in London on Wednesday, 20 December.